Does this ever happen to you? You search through your closet, looking at rows of shoes, and wonder which ones still fit. Between bunions, fallen arches, and other foot maladies, it seems like few of your former shoes are options anymore. Sound familiar? Well, you’re not alone. It’s a fact that as you age, your foot changes as well- your foot is likely to flatten and lengthen, meaning your old shoe size just won’t do it anymore. And what about swelling in your feet? That can happen for many reasons, some of which may point to serious health concerns that require medical attention. Given that it’s estimated you’ve walked 75,000 miles by the time you reach age 50, it’s no wonder that your feet show some wear and tear. To get the full rundown on what can happen to your feet as you age, peel off your socks, put up your feet, and read here. 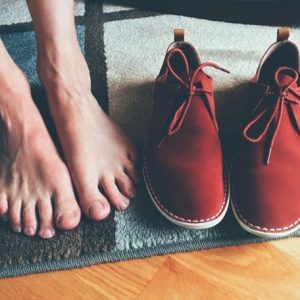 And for those of you wondering if it’s time to stick orthotics in your shoes, and whether to go over-the-counter or custom, take a look at the advice from Harvard podiatrist James Ioli here.